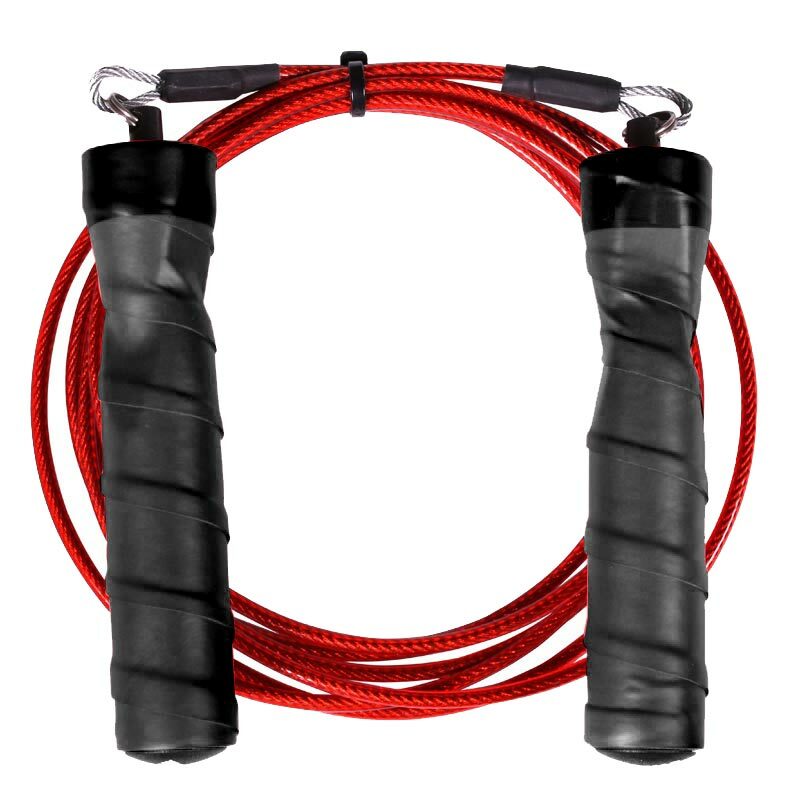 The Apollo Cable Skipping Rope is a great tool to improve endurance, coordination and timing. Up the difficulty as technique improves. PVC coated steel cable rope. Thin cable rope will rotate at a faster speed due to minimal air resistance and overall design. Lightweight, portable and super effective. Excellent Rope for MMA and Cross Training. Soft contoured racquet Tape Handles for Superior Grip. 4mm diameter steel cable rope. Please note the handle colour may vary between red and black.